During the summer, I don't worry about my kids getting enough exercise. They're on the go all day long, swimming, playing sports, riding bikes and going to camp. When it's time to go back to school, though, making sure they stay fit requires some oversight and scheduling on my part. So this year, in addition to baseball and Tae Kwon Do, I'll be getting my kids involved in tracking their own activity levels with a monitor. They'll even be able to earn rewards by meeting goals we set together. Thinking about setting up your own program for your kids? These activity monitors provide feedback on kids' activity levels and offer incentives for staying fit. 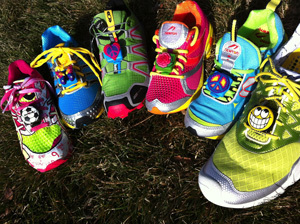 GeoPalz encourages kids to stay active by rewarding them with physical prizes for the steps they take. Prizes are purchased with points the child accumulates by logging their steps and include items such as sports gear and points cards for video game systems. When you get a GeoPalz pedometer ($25 on geopalz.com), you create an account for your child and enter the code that comes with the device. You can use the site with your own pedometer, though the code unlocks more prizes than are available to those with free accounts. If there's a particular reward a child wants that's not on the prize rack, parents can purchase items from Amazon and assign a point value. 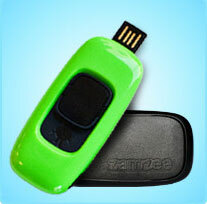 The Zamzee Activity Meter ($29.95 on zamzee.com) tracks activity with its three-axis accelerometer and stores your progress until you plug the device into your computer for uploading to Zamzee.com. Once that data has been uploaded, you can see your child's activity level throughout the day and your child can see how many points they've earned. Points can be used to enter "Challenges" to earn prizes like gift cards to Amazon, plush toys and tech gadgets or make charitable donations to the humane society. Points can also be used to reach goals that parents set and pay for. It takes about 1,000 points to earn a $5 goal, and a 55-minute walk typically earns about 1,000 points. 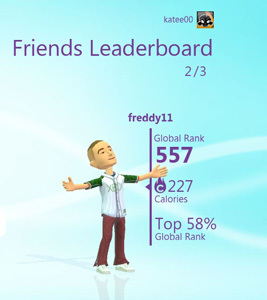 Microsoft Kinect proved that kids can play video games AND get exercise at the same time. With Kinect PlayFit (free download with Xbox LIVE), you can track your kids' activity levels across a number of kid-friendly Kinect titles, including "Kinect: Disneyland Adventures," "Dance Central 2," "Kinect Sports 2" and "Kinect Star Wars." ( A full list of titles compatible with PlayFit can be found at www.xbox.com/en-US/kinect/kinect-play-fit.) There's no reward component, but isn't playing video games reward enough? Another great tool. MovBands are worn on the wrist and track steps and miles. Kids can earn bands for miles moved. My son loves his!